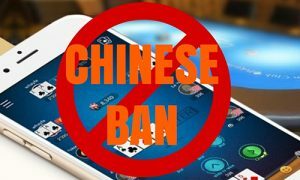 The fallout continues in China over that country’s ban of online Texas Hold’em poker apps for smart devices that was instituted last spring to halt the widespread use of the games as proxies for real-money underground gambling. 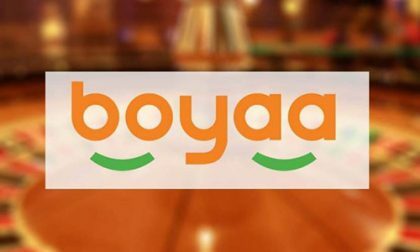 According to a Boyaa Interactive corporate announcement quietly inserted into the company’s list of financial diclosures, Boyaa’s chairman and CEO, Zhang Wei, was sentenced to a prison term of 12 months in prison for Boyaas role in promoting its poker apps, another facet of which involved the promotion of the now seemingly-disbanded Boyaa Poker Tour. Zhang will also receive an additional 18 months in suspended sentence, while Boyaa’s Boyaa Shenzhen entity was fined RMB 2,500,000, or about US $365,000. According to Inside Asia Gaming, Boyaa Interactive announced on Friday that an appeal launched on Zhang Wei’s and Boyaa’s behalf had been denied, meaning that Zhang will continue to serve the remainder of his sentence and that Boyaa will have to pay the fine. IAG also reported that Zhang had resigned as an executive director and CEO of the company, Chairman of the board, Chairman of the Nomination Committee and from all senior management positions after the appeal was rejected. Dai Zhikang replaces Zhang as chairman of the board, with immediate effect, and Ms Tao Ying is appointed as an executive director, Chairman of the Nomination Committee and Authorized Representative. The announcement appears only on the Chinese-language version of Boyaa’s corporate online home at the present time. The Company wishes to announce that it has come to the attention of the Board that Boyaa Shenzhen has received a criminal judgment from the Municipal of Intermediate People’s Court, upon trial of first instance, Boyaa Shenzhen was found guilty of the alleged crime of offering bribes by entities (單位行賄罪) and is liable to a fine of RMB 2,500,000. Its legal representative, Mr. Zhang Wei (“Mr. Zhang”), is sentenced to a fixed-term imprisonment of one year with a suspended sentence of one year and six months (the “Decision”). Based on the opinion of the Company’s PRC Counsel (the “PRC Counsel”), there is insufficient legal basis to support the Decision, and therefore Boyaa Shenzhen made an application to appeal to the Higher People’s Court (the “Appeal”). The Decision will not be effective and both Boyaa Shenzhen and Mr. Zhang will not be found guilty or hold any criminal record until the final judgement is handed down by the Higher People’s Court. Based on the opinion of the PRC Counsel, the Board is of the view that the Decision will not result in any material adverse impact on the business, operation and financial conditions of the Group. The Board will continue to monitor the development and the results of the Appeal and assess its impact on the operation of the Company. The Company will keep its shareholders and potential investors informed of any material development in connection with the Decision as and when appropriate. Instead, the Chinese legal decision against Boyaa and Zheng has held, while Boyaa’s poker-app business has largely collapsed in the wake of the ban. Boyaa was not the largest developer of such games by overall volume, yet it may have been the largest participant of note in the poker-app business when reckoned by the percentage of its own revenue generated from the poker-games niche.